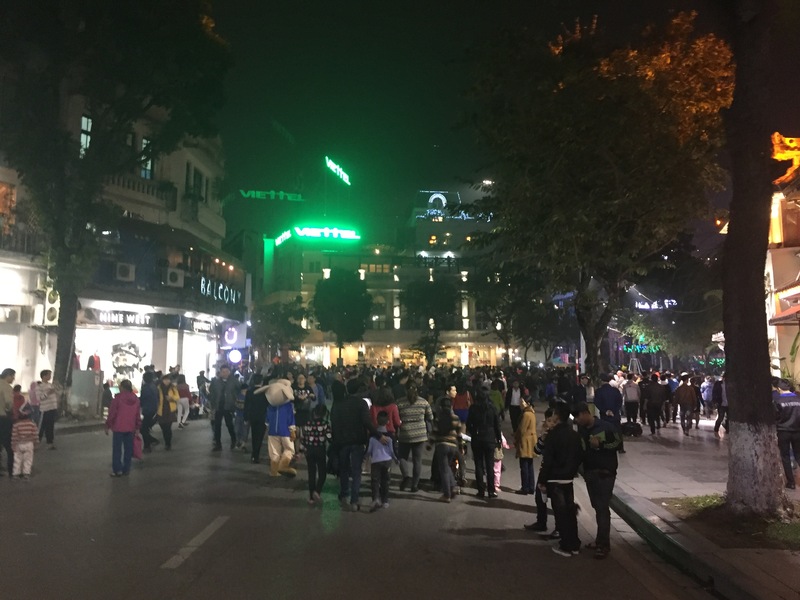 I’d never do it again but New Years Eve in Hanoi was the biggest party I’ve ever witnessed. 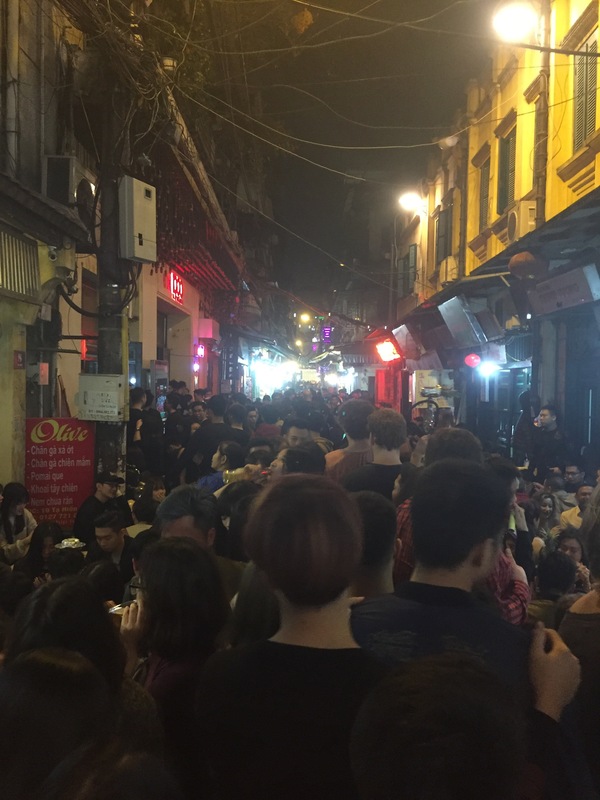 Thousands of people, crowds pressing up against you on every street, and horrible American pop mucus at every bar. That being said, it was epic in terms of scale and party attitude. Georgia and I made the rounds and did some good people watching. 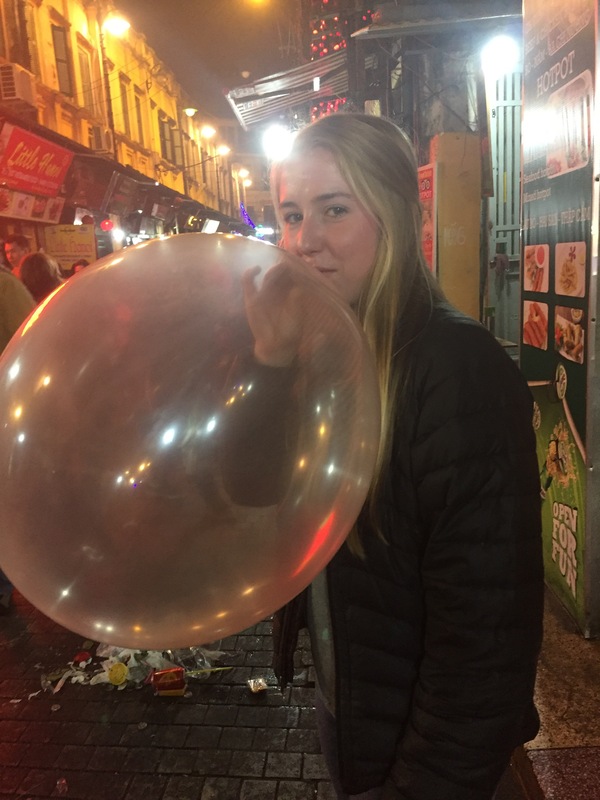 G and I tried Nitrus balloons after hookah and laughed so hard. 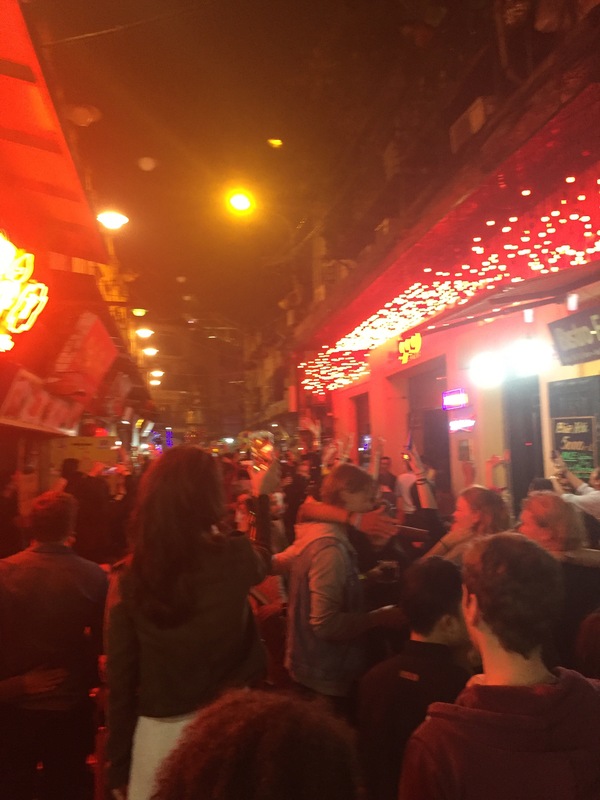 Ta Hien – Bar Alley. 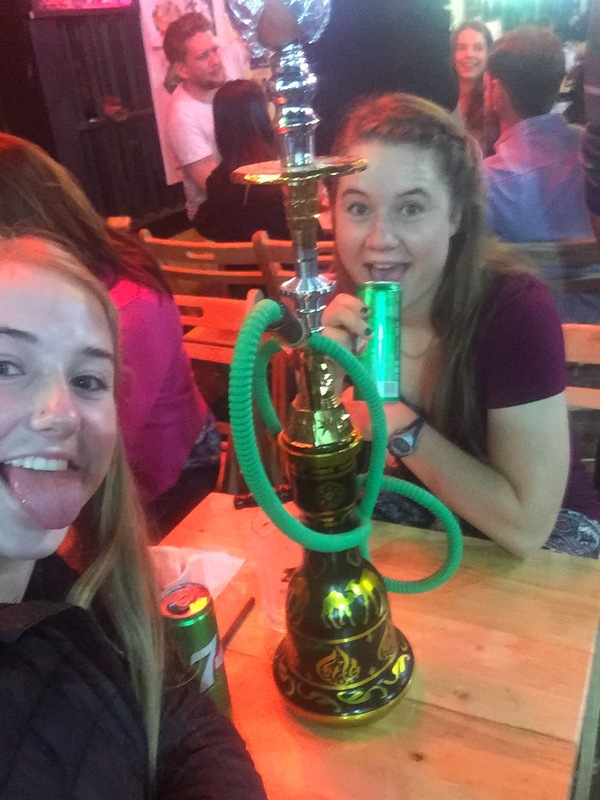 G and I took shots of vodka with hookah and sprite to wash the taste away!